Salvation and Recycle have been a great trend in home decoration. 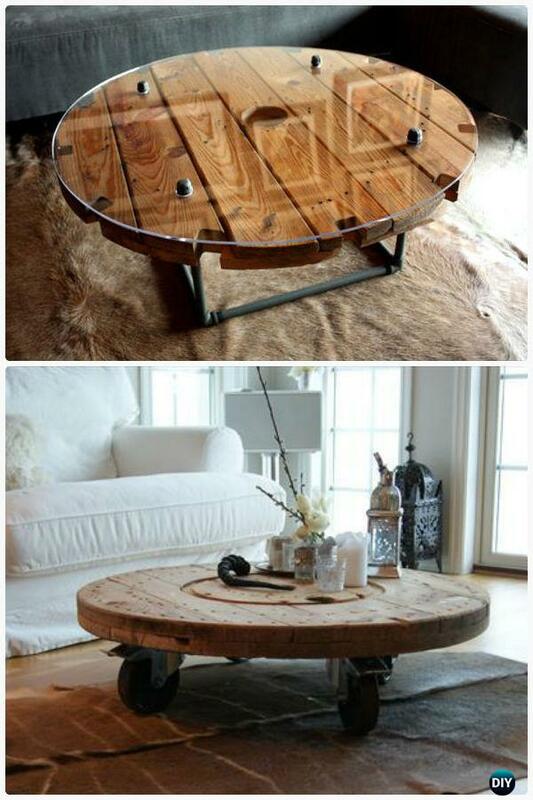 Get most use of the unwanted stuffs with no or low cost and turn them into something unique for the home is very appealing. 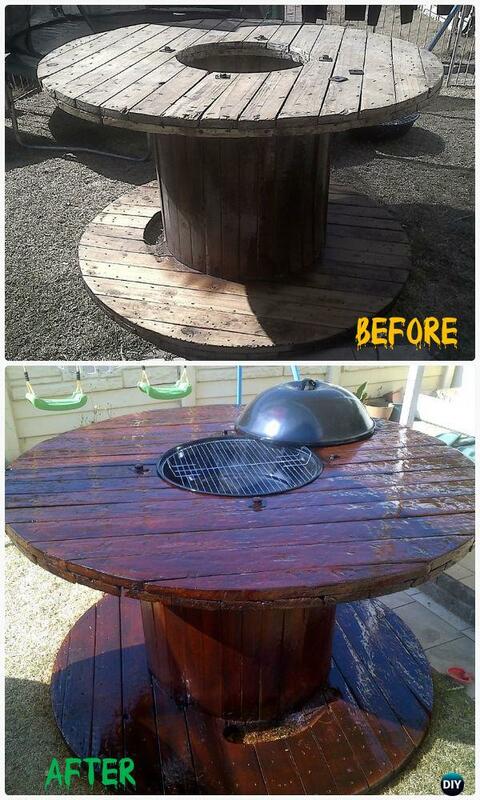 Old wood spools are one of the most suitable and low cost materials for this kind of transformations. Our Home Improvement Channel today is going to share a collection of DIY Wood Cable Spool Recycle Ideas, some of them with detailed instructions to follow, some are for inspirations. Most wire spools are made our of rustic woods, and are strong and sustainable to turn into furniture and rustic home decorations. As your creativity goes, you can turn them into something charming and functional for home and garden. 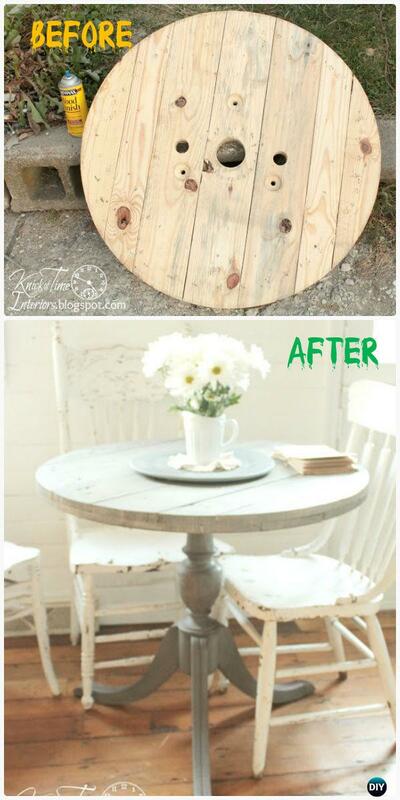 Make full use of its shape and turn them into tables, endtables, bookcases, wine bars, paint them, or cut them into half for entry way or porch, decorate with lights and plants, or tear some wood pieces off for plants. Or just paint it with the right colors, paste the perfect contact paper or cover a beautiful table cloth. Scroll down and explore what more you can create if you can find these cable spools around your community. 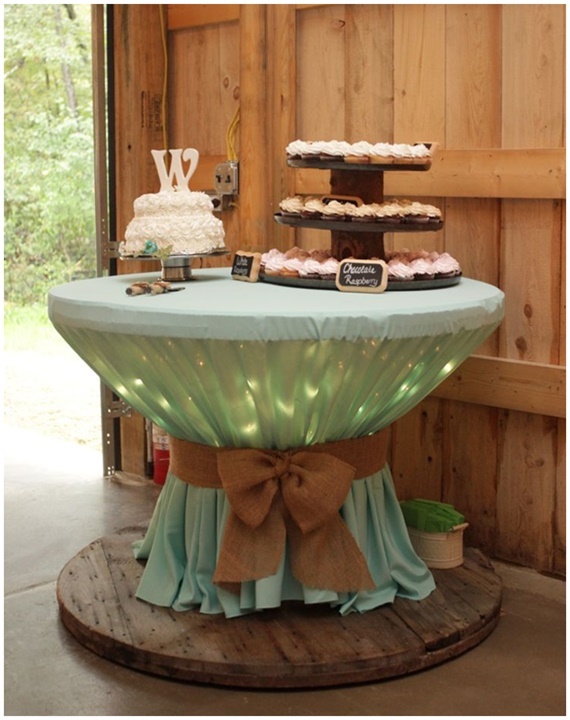 Cover the top of wooden spool with icicle lights, and bunch table cloth with bungee cord on wedding days or any party at night!